Things didn’t turn out the way Barça B might have liked in their Division 2A promotion playoff first leg on Saturday. Cultural Leonesa came away from the Miniestadi with a 2-0 win and are very much in the driving seat for a direct passage into the second division next season. Barça can still mount a comeback in the second leg next Sunday, and if that mission fails they will have a second chance to grab one of the two remaining berths when they join the teams ranked second to fourth in each of the four groups in the non-champions playoff. But today will be viewed a wasted opportunity, and the prospect of having to negotiate two further rounds of matches is not a nice one. It was never going to be easy tie against one of the strongest teams in the category. All the same, with a buoyant Miniestadi to egg them on, the reserves looked confidently composed but failed to take a series of excellent chances early on. Against the run of play, Cultural Leonesa caught them on the counter attack, with Gallar latching onto the ball in the FCB area and rifling it past Varo’s reach. The goal brought the visitors to life, and if we hadn’t seen too many of their qualities to this point, they were now showing why they topped a division that includes the likes of Racing Santander. 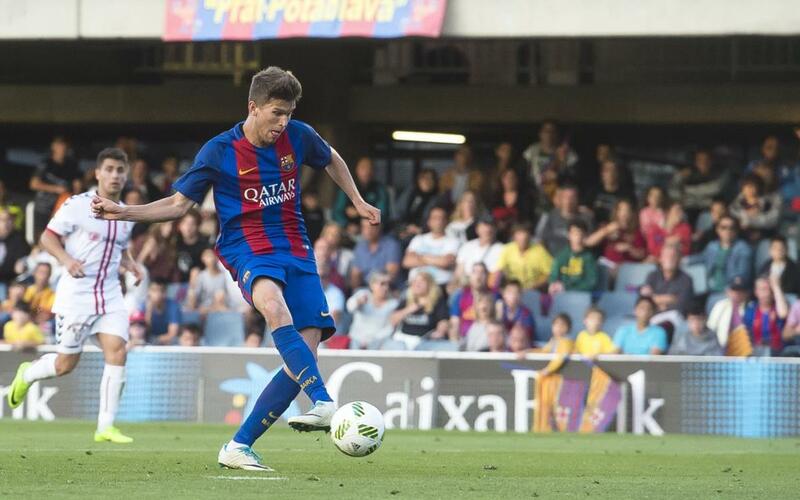 Nevertheless, Barça B could still feel unfortunate not to have levelled the game before Toni struck another fine goal to put the visitors two to the good. Now the home side really needed a goal to keep their aspirations fully alive, and they hurled their full force the way of a Cultural Leonesa side that seemed happy enough with things as they were and defended their lead with grit. All hope is not lost, but it’s a very difficult task that Gabri’s side face in the second leg.